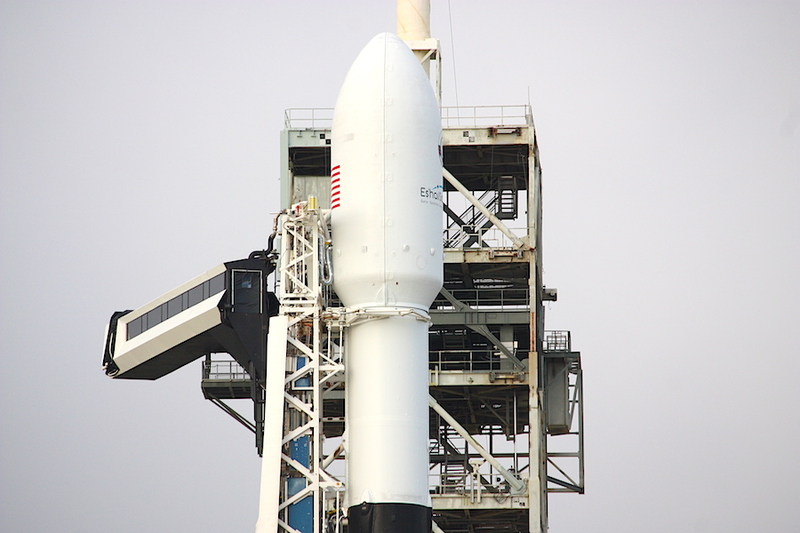 A Falcon 9 rocket powered by a first stage booster recovered after a launch in July is being readied for another flight Thursday from NASA’s Kennedy Space Center in Florida. 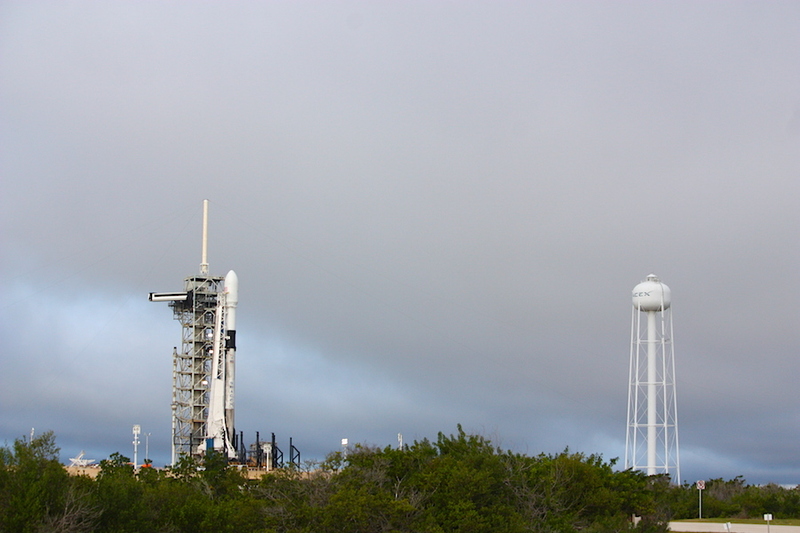 The 229-foot-tall (70-meter) rocket is standing at pad 39A, the starting point for numerous space shuttle launches and Saturn 5 moonshots, in preparation for liftoff Thursday during a launch window opening at 3:46 p.m. EST (2046 GMT). 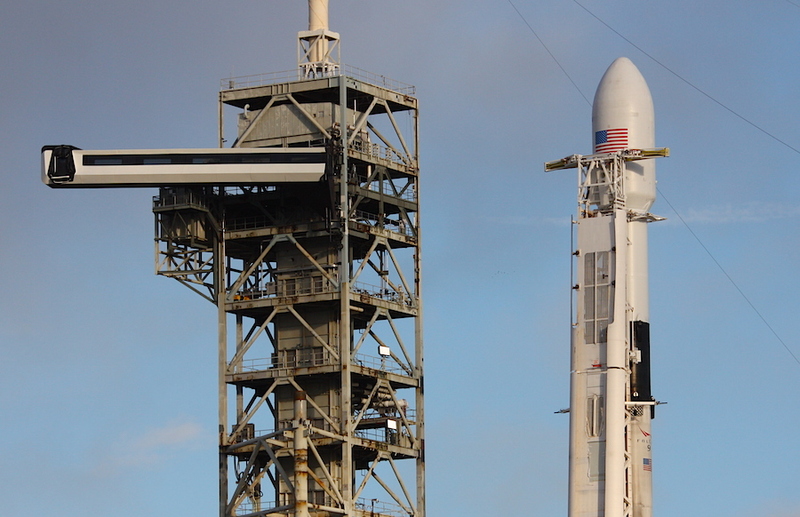 Inside the Falcon 9’s nose shroud: Es’hail 2, Japanese-built, Qatari-owned communications satellite to link users across the Middle East, North Africa and Europe. 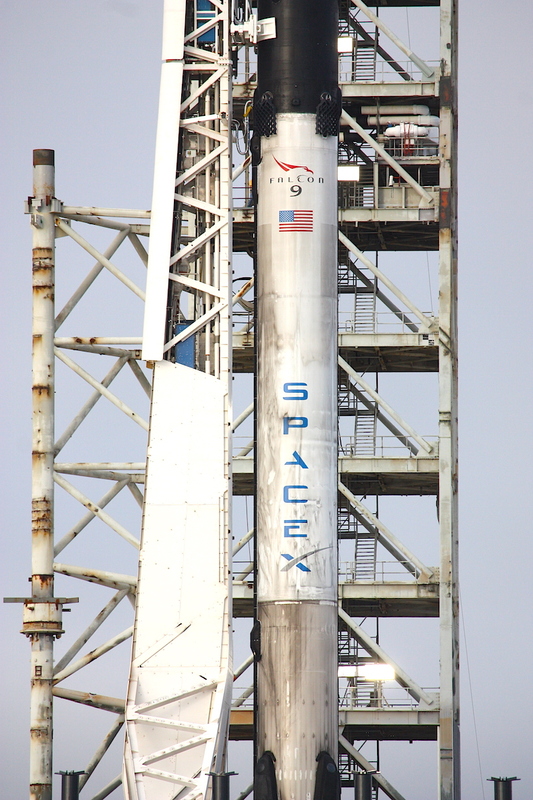 The first stage of the Falcon 9 rocket shows the soot markings of a previous launch and re-entry July 22, when it lifted off from nearby pad 40 at Cape Canaveral Air Force Station with the Telstar 19 VANTAGE communications satellite. 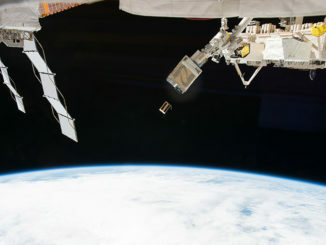 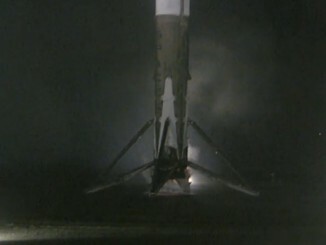 On that flight, the booster detached from the Falcon 9’s upper stage and descended back through the atmosphere, using grid fins and rocket thrust to land on SpaceX’s drone ship “Of Course I Still Love You” in the Atlantic Ocean a few hundred miles east of Cape Canaveral. 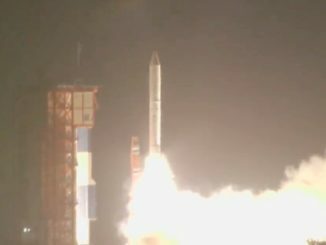 The first stage will try the same maneuvers after Thursday’s launch, again aiming for a landing at sea before potentially another mission. 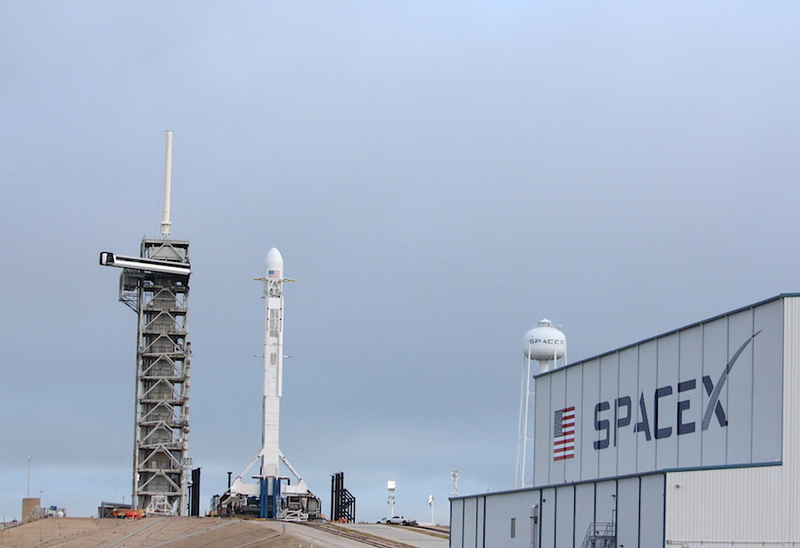 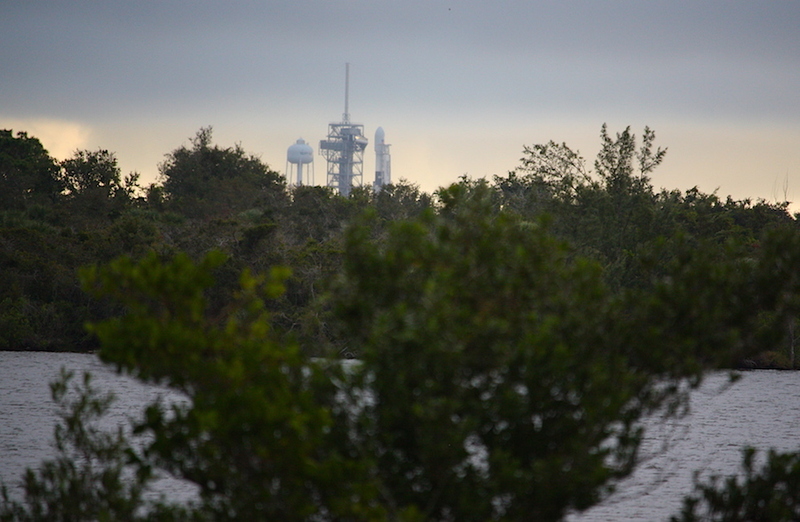 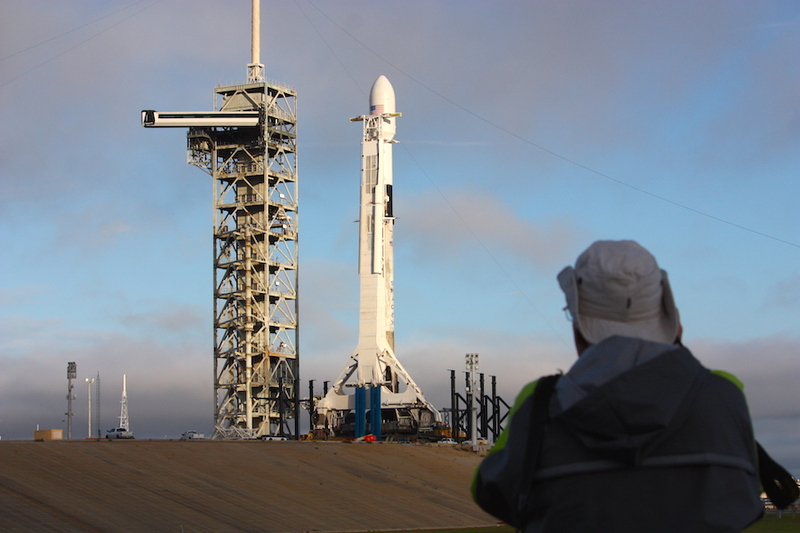 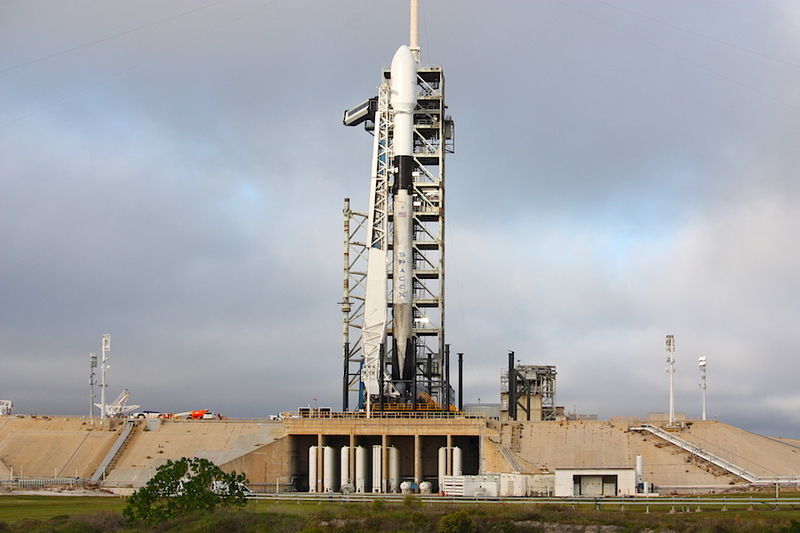 Thursday’s launch will be the 15th SpaceX mission to launch off pad 39A, and SpaceX’s 18th launch overall this year, including flights from KSC, neighboring Cape Canaveral Air Force Station, and Vandenberg Air Force Base, California. 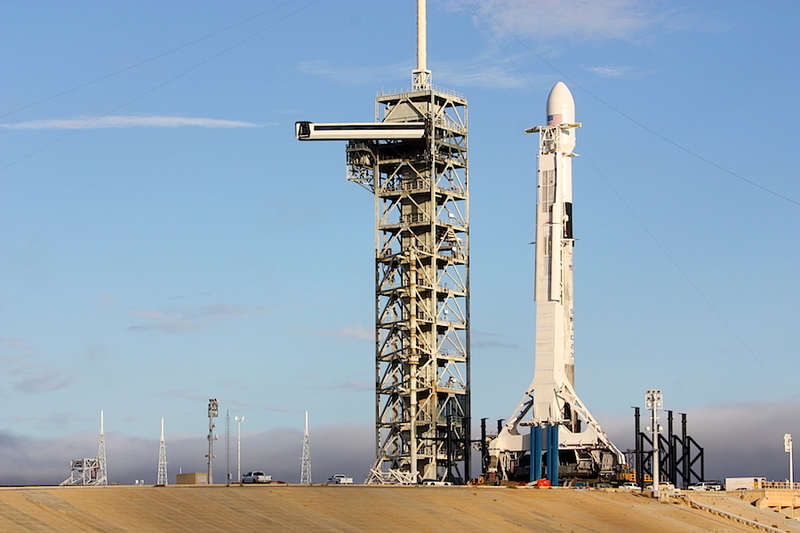 It will be the 63rd flight of a Falcon 9 rocket since the first variant of SpaceX’s workhorse first launched in June 2010, and the 17th time SpaceX has reused a booster on an orbital mission.